Upcoming Art of Psychiatry meeting: “Janet Frame, Psychiatry, the Saving Role of the Maudsley and ‘Scriptotherapy'” 20 July 2017 Robin Murray B IoPPN 6pm All welcome! Please join us for this upcoming Art of Psychiatry Society meeting! Date: 20 July 2017 Venue/Time: Robin Murray Rm B in the IoPPN 6pm. We’re really pleased that Dr. Josephine McQuail is joining us to speak about Janet Frame (1924-2004), the innovative New Zealand writer. Frame spent time at the Maudsley, and her experience of psychiatric treatment was distinctly mixed. The now infamous “sexologist” John Money, of Johns Hopkins, was a professor at the teacher’s college Frame attended in Dunedin, New Zealand, and became Frame’s first psychotherapist. This resulted in her being committed to the Seacliff Institution, narrowly averting a lobotomy. It was the recognition she got for her first collection of short stories, which John Money actually submitted for a literary prize on her behalf, which saved her. Her Seacliff psychiatrist saw in the newspaper that Frame had won the literary prize, and cancelled her surgery. Thus, Money’s romanticizing of the prototype of the “mad” artist both damned and saved Janet Frame, who would go on to have further psychiatric problems and encounters with the psychiatric profession. The Maudsley Hospital, to which Frame was voluntarily committed for 6 months (1957-8) while on an extended stay in London, played a pivotal role in her psychiatric treatment. It was through John Money that she came to the Maudsley – while she was staying and writing in Ibiza, Spain, he became concerned about her mental state, mailed her an anti-psychotic drug, chlorpromazine, and told her when she arrived in London, her next stop after Spain, to seek help at the Maudsley, which had a reputation for humanitarian psychiatric treatment. Frame complied, even before Money had a chance to send a referral to Dr. Michael Shepherd. Eventually, however, Dr. Shepherd received Frame’s records from Seacliff, and an opinionated diagnosis from John Money. Despite all of this, Frame was assigned to Dr. Alan Miller, who seemed a perfect fit. Eventually, Dr. Miller and a psychiatric team headed by Sir Aubrey Lewis declared that Frame “never suffered from schizophrenia”. Frame’s greatest treatment, however, was her writing. Before going to the Maudsley she declared, “ ‘To me the need to write and the act of writing are worth more than any opinions of what I write’ ”. Frame’s novel Daughter Buffalo will exemplify her practice of “scriptotherapy” – Suzette Henke’s term for therapeutic writing which allows the subject to work through trauma. In Daughter Buffalo (1972) Frame works through personal conflicts in her present time in a profound meditation on love and death. This novel could be called Frame’s Frankenstein, and shares a similar questioning of patriarchy with Mary Shelley’s iconic novel. Dr. Josephine McQuail has published on William Blake, Aldous Huxley, Virginia Woolf, Janet Frame, George Gissing, W. B. Yeats, and others, as well as on pedagogical issues. She is a professor of English at Tennessee Technological University. She is active in labor issues in academia. 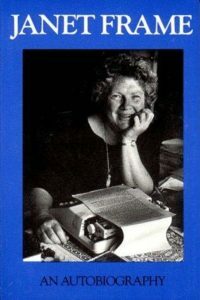 Her edited collection of essays on the New Zealand writer Janet Frame is forthcoming with McFarland Publishing in 2017. This is an open meeting and all are welcome (including SLaM employees, psychiatry trainees, service users, members of the public). No need to book. It’s okay to turn up late. Entrance is free!